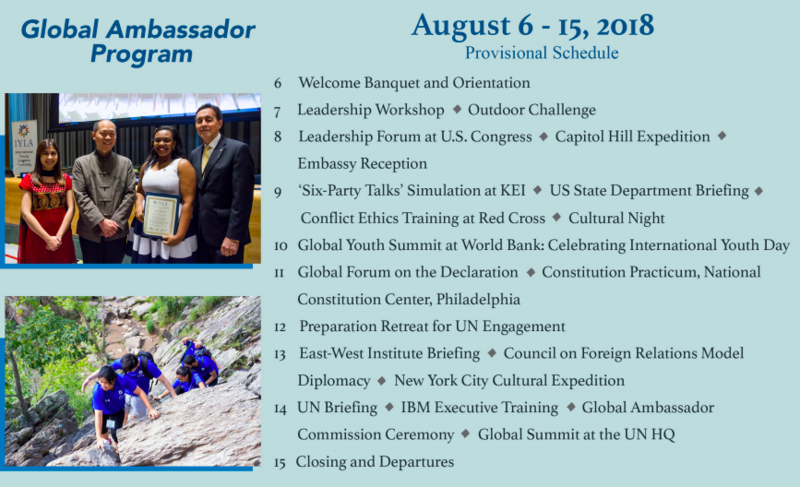 The International Young Leaders Assembly (IYLA) is a partnership-driven leadership development program that empowers young leaders to positively impact their communities, nations, and the world. The IYLA hosts student leaders and young professionals for interactive programs with globally significant leaders and institutions. Delegates acquire first-hand experience in leadership, join a lasting global leadership network and build a platform to tackle current critical issues.